Just as it seems the entire waterfront of twentieth-century American graphics has been comprehensively covered, along comes a book to disrupt the status quo. Dorothy and Otis: Designing the American Dream traces the lives and work of husband-and-wife partnership Otis (‘Shep’) Shepard and Dorothy Van Gorder. Born respectively in 1894 and 1906, their working lives covered the period from the 1920s to the 1960s. This is the same period reviewed by R. Roger Remington’s American Modernism (Laurence King), although the Shepards receive no namecheck in his survey. In this sense the Shepards are something of a discovery. Authors Norman Hathaway and Dan Nadel have done their research thoroughly and, aided by the Shepards’ heirs, have put together both a portrait of a professional partnership and an extensive portfolio of the designers’ work. They trace the couple from their origins to their early advertising days, through their working practices and on to their enduring client relationships – a text supported by images both personal and professional. At a time when Lester Beall was designing for the Rural Electrification Administration, Will Burtin for the US Air Force and Alvin Lustig for erudite publishers, the Shepards were making hedonistic hay with the great American Dream. From baseball to cigarettes, from beer to chewing gum, the Shepards seduced Main Street USA with their luscious, colourful graphics. Their work as billboard artists took them to the sharp end of street advertising. Outdoor media and colour-print technology combined to create a new opportunity for the promotion of consumer goods but, like others in the field, their efforts went largely uncredited. The anonymity of commercial artists working in advertising compared with graphic designers working in other fields has often led to the privileging of the latter. However, the book makes it clear that the Shepards were no hicks peddling low-grade work. After they were married in 1929 they honeymooned in Europe. The experience was transformative and they brought their own interpretation of European Modernism back to the US. In Nadel’s words, Shep was ‘an avant-garde populist in graphic design’. Billboard by Otis and Dorothy Shepard for Chesterfield Cigarettes, 1930. Dorothy airbrushed the lettering and Otis airbrushed the image, a stylised drawing of his new bride. 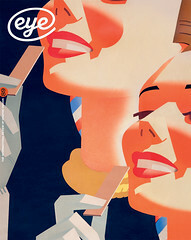 The Shepards began work for the tobacco client in early 1930, not long after they returned from honeymoon in Europe, where they had been highly impressed by Modernist graphic design, particularly the work of Joseph Binder. 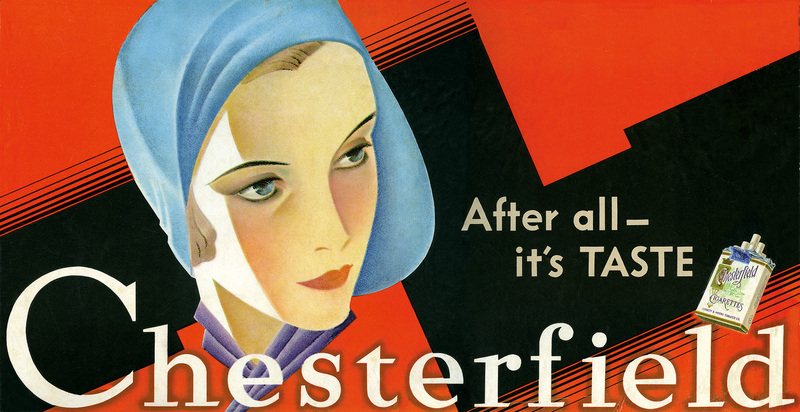 Dorothy often said that the success of the Chesterfield poster changed their lives. Not long after their return to the US the couple went freelance. Their Chesterfield Cigarettes poster of 1930, based on Dorothy as muse and model, was their breakthrough. The drawing of the human face was simplified, graphic and ‘symbolic’, to use Shep’s term for the kind of sensation he wished to express. Dorothy’s own work of that time was equally dramatic. Her understanding of pattern, line and composition is evident in her poster for Underwood Typewriters and her packaging for Mannings Tea. A successful speculative pitch to P. K. Wrigley, head of the chewing gum company, would set them on a road that would change their careers. Shep’s appointment as head of art at Wrigley followed, and he became both a friend and key adviser to P. K. – a relationship that would last until the mid-1960s, when Shep retired. During his time with Wrigley, Shep designed posters, packaging and print, all part of a coordinated effort to build the Wrigley brand. The company’s interests included ownership of Santa Catalina Island, off the Californian coast, and the Chicago Cubs baseball team. Of course, Shep and Dorothy were called in to do the design, from uniforms and environments to signing and graphics. 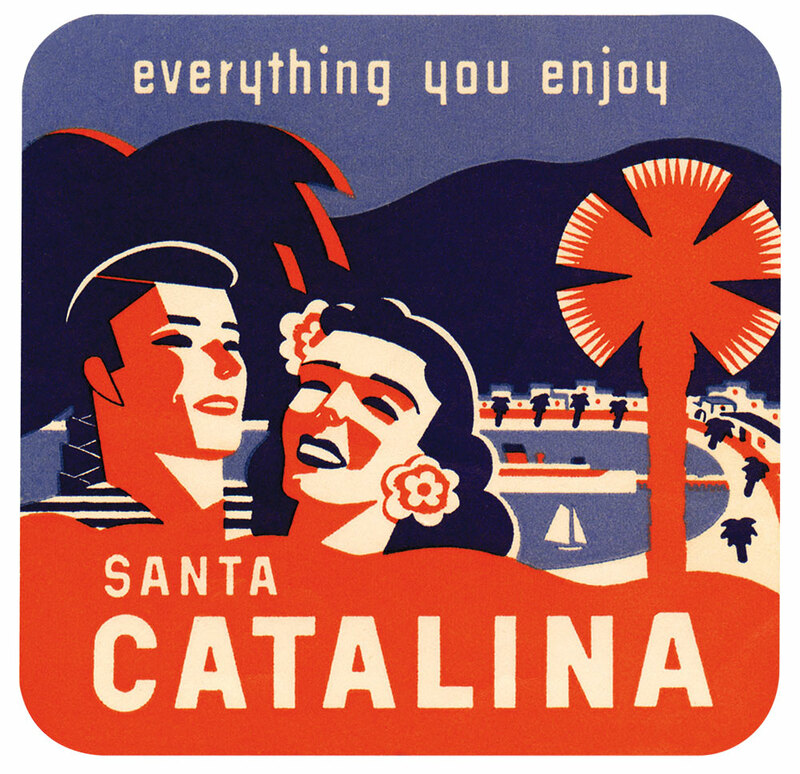 Under their ‘art direction’, Catalina became a successful tourist destination and the Cubs a prominent US team. Otis died in 1969; Dorothy in 2000. Dorothy and Otis tells the story of this exceptional couple, noting that they saw the ‘big picture’ – how design could make a difference to business enterprise that went way beyond the parameters of conventional advertising. In today’s terminology, they understood the idea of the ‘brand’ and how such identities are formed from the totality of the experiences that a product offers. Interestingly, the authors stop short of making this claim for the protagonists, even though it seems justified. Perhaps there is more original research to be done to fill the gaps in our knowledge of other designers whose stories have yet to be uncovered, particularly where commercial art and graphic design join, and where Modernism and the vernacular connect. Together Shep and Dorothy made a glamorous and theatrical couple: fast cars, natty clothing and cool locations were all part of the image. Early pictures of the two together occasionally remind one of Bonnie Parker and Clyde Barrow, and at other times of Scott and Zelda Fitzgerald. Their drawings of one another reveal engaging spontaneity and a touching intimacy. There is one drawing from the early 1930s by Shep of Dorothy working away at the drawing board in her dressing gown, probably late at night, in their apartment. Dorothy and Otis lets us in through a window to examine two extraordinary lives and two remarkable talents. 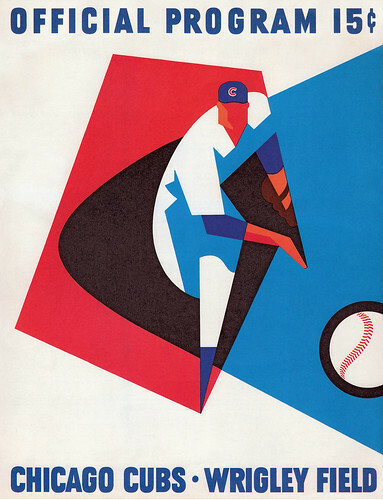 From the mid-1930s to the 1960s, Otis Shepard was involved in every aspect of design for the Chicago Cubs, the baseball team owned by P. K. Wrigley and based at Wrigley Field. 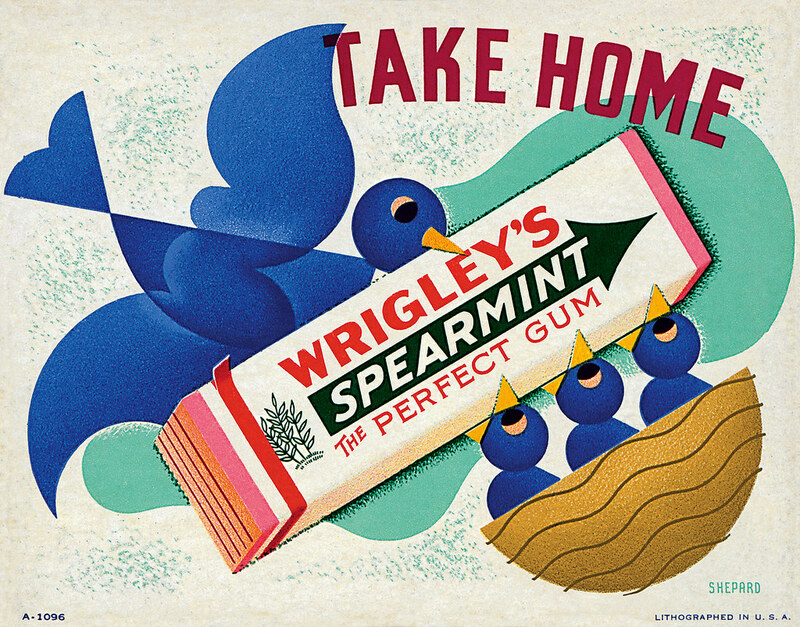 Top: The couple’s mid-1930s design for a Wrigley’s spearmint gum counter display used one of Dorothy’s favourite motifs: a Modernist cartoon of a bird. Eye is the world’s most beautiful and collectable graphic design journal, published quarterly for professional designers, students and anyone interested in critical, informed writing about graphic design and visual culture. It is available from all good design bookshops and online at the Eye shop, where you can buy subscriptions, back issues and single copies of the latest issue. You can see what Eye 89 looks like at Eye before You Buy on Vimeo.